Looking for a gem-themed diversion or a novel way to test your knowledge of gemology? 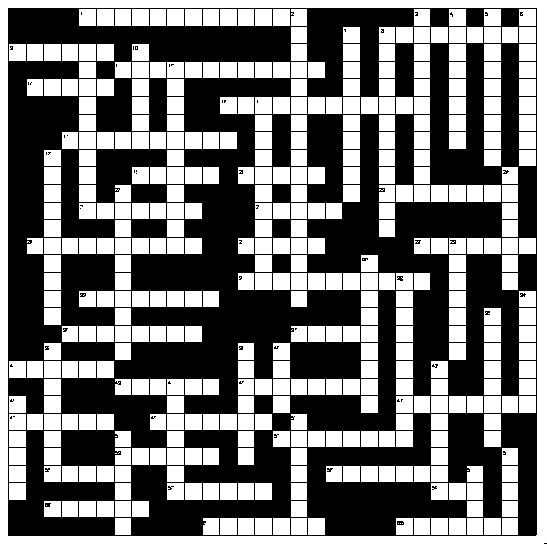 Our gemstone crossword puzzle collection has something for everyone, from aficionados to serious gemology students. 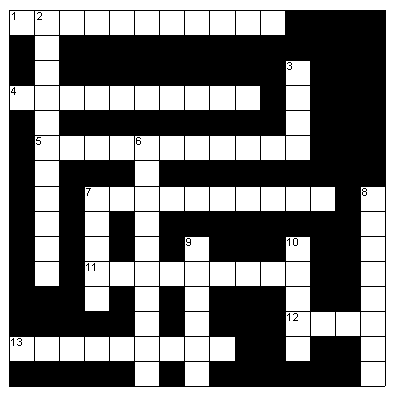 These seven puzzles get progressively harder. If you find yourself stumped, don’t forget you have the International Gem Society website at your disposal. The Gemstone Encyclopedia section will be particularly helpful. 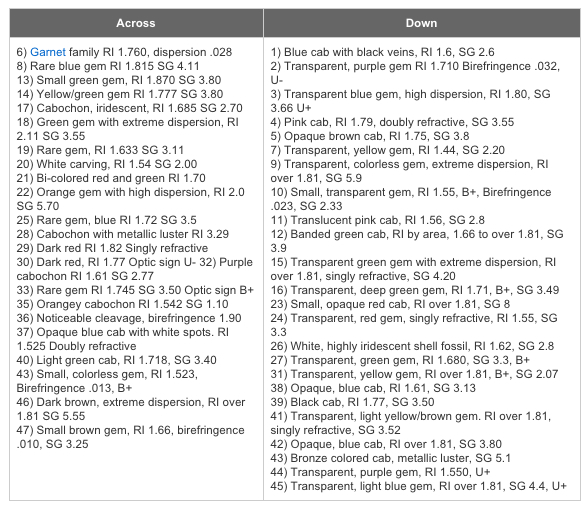 The Gemology Tools database program can also come in handy. Of course, all the answers are just a click away. 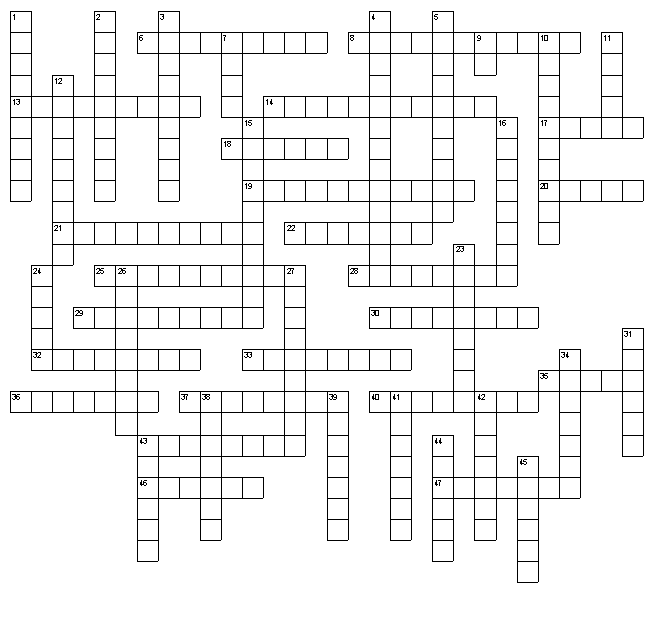 Print the entire collection or just the specific gemstone crossword puzzle and hints you want. Good luck! 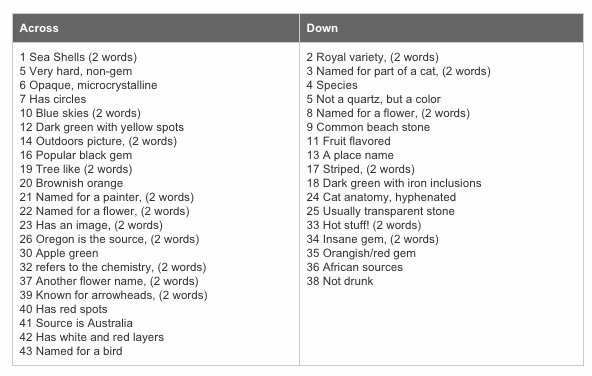 All the answers to this puzzle are names of gems. This should be pretty easy, right? 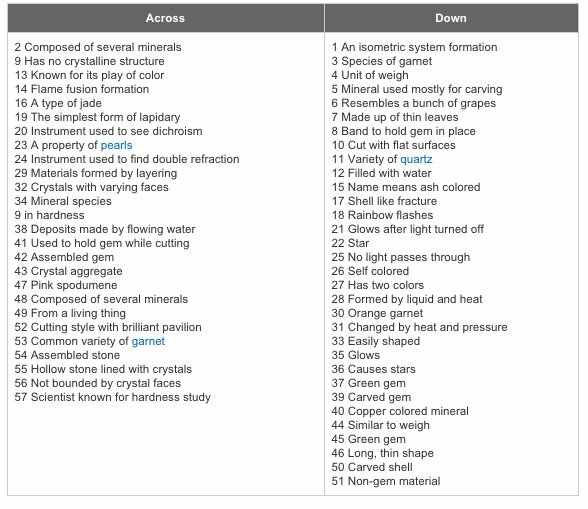 These answers include gemology, lapidary, and jewelry terms as well as gem names. Quartz has so many varieties it deserves its own puzzle. If you need help, check out our chalcedony reference article. NOTE: Many of these answers are two words. 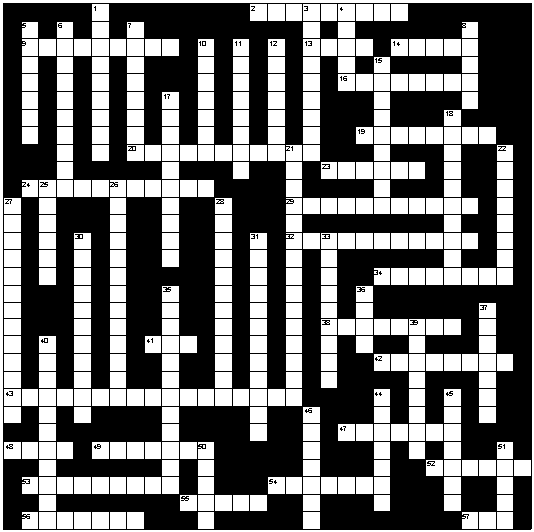 Skip the spaces between words when you fill out the puzzle. All the answers are standard gemological terms. 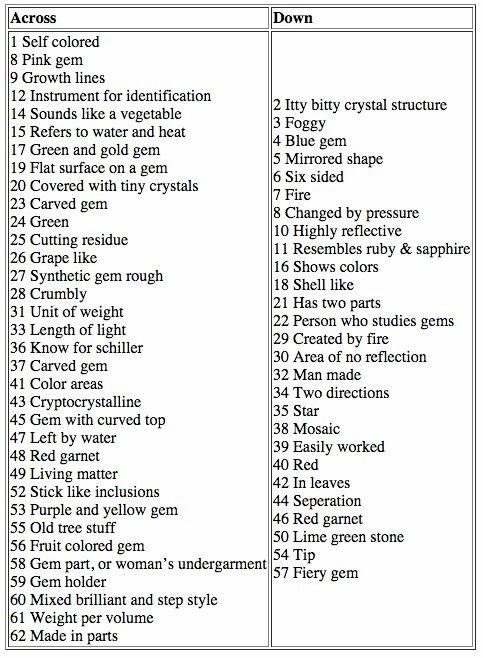 Gemology students and dedicated amateurs should be challenged by this puzzle featuring additional gemological terms. This puzzle is specifically designed to test your gemstone identification skills. The clues below are just like the data gemologists discover when they test an unknown sample. 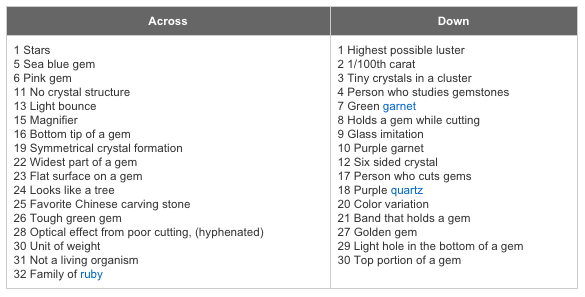 You need to deduce the gem’s identity/name with that partial information (and your crossword skills). All the answers are the names of common gems. No varieties, just species. The clues are the chemical formulas of the gems. 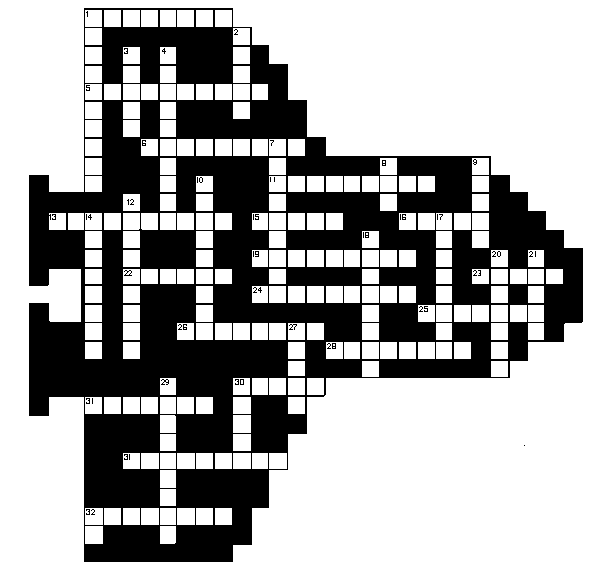 This puzzle might challenge even advanced gemology students.